This delicious theatrical feast has family sized helpings of Matthew Bourne’s trademark wit, pathos and magical fantasy. Nutcracker! follows Clara’s bittersweet journey from a hilariously bleak Christmas Eve at Dr. Dross’ Orphanage for Waifs and Strays, through a shimmering, ice-skating, winter wonderland to the scrumptious candy kingdom of Sweetieland. New Adventures’ much loved production of Tchaikovsky’s Nutcracker! is one of the most popular dance productions ever presented in the UK. Tchaikovsky’s glorious score and Olivier award winning designer, Anthony Ward’s unforgettable sets and costumes combine with sizzling choreography to create a fresh, hip and charmingly irreverent interpretation of the traditional Christmas favourite that will delight the whole family. 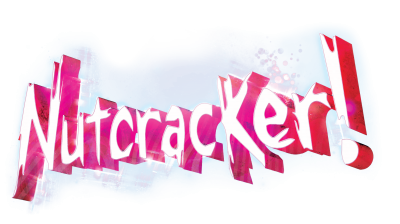 Originally created in 1992 for the ballet's centenary, Nutcracker! returned in 2012 to celebrate its own 20th Birthday.